Readi is the #1 Brittany in 2007. 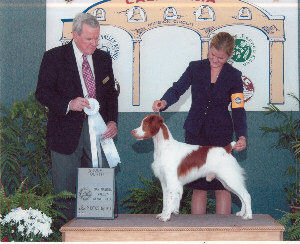 He has won over 240 awards, including 21 Brittany specialities and two Best in Shows since 2006. Readi is the half brother of CH Sanbar's Curtain Call JH (Jonnie) and sired by AFC AM/Can CH Sanbar’s Call Collect (Miles), and dam CH Sanbar’s Indian Penny. 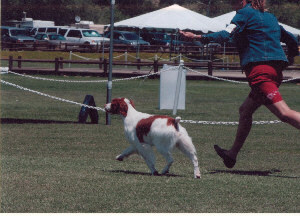 Through careful breeding and training, Readi is continuing Sanbar's tradition of championship Brittanys.